The Episcopal Church formed out of the colonial congregations separated from the Church of England after the American Revolution, and its constitution, adopted in 1789, was, like the U.S. Constitution, written by people who sought to replace hierarchical rule with democratic government. Annual Diocesan Convention: Our Diocesan Convention is held traditionally at the end of January of each year, and comprises our Bishop, all canonically resident clergy, and three lay deputies from each parish and mission within the diocese. The Diocesan Convention also allows for one youth deputy from each of our 10 Districts, which are geographical subdivisions of the diocese. Aside from reviewing and approving the diocesan Budget, our Convention is a democratic process in which we elect various leaders and committee members and consider resolutions concerning our church and the world. Our Convention has also had a rich, proud history of engaging in social justice issues. The Diocese of Newark has been on the forefront of discussions about racial discrimination, the ordination of women, marriage equality and child welfare. Clergy and lay people alike provide dynamic leadership that enlivens our discussions and enriches our common narrative. Standing Committee: The Standing Committee of the diocese consists of eight members (four clergy and four lay) elected by Convention. The Standing Committee is required by the Canons of The Episcopal Church to act as a council of advice for the Bishop (Art. IV) and to perform various duties as prescribed in the Canons, such as consenting to ordinations of Priests and Deacons, and consenting to consecrations of Bishops throughout The Episcopal Church. The Standing Committee is also responsible for approving the lease, mortgage or sale of parish property. Trustees: The Trustees of the Episcopal Fund & Diocesan Properties consists of 12 elected members. They are responsible for managing all diocesan funds, the Bishop’s residence and the Episcopal House property; for the maintenance and sale of closed church property; and for administering all real and personal property and endowment funds of incorporated missions of the diocese. Diocesan Council: Functioning as the “Convention between Conventions,” Diocesan Council is the governing body responsible for program and mission of the diocese. It also has oversight of the diocesan Budget and all grant and loan awards. 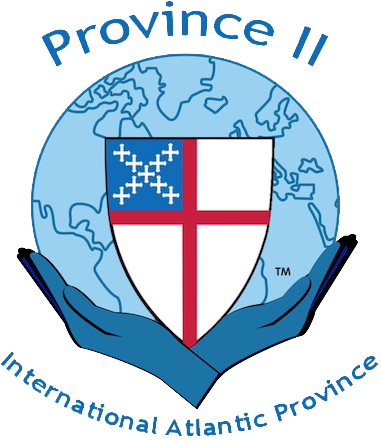 Membership consists of clergy and lay representatives elected by each of the 10 districts, as well as Bishop’s appointees. Episcopal House, located at 31 Mulberry Street in Newark, is the operational and administrative headquarters of the Diocese of Newark. The Bishop's staff works in conjunction with the Bishop, the Standing Committee, the Trustees, and Diocesan Council to manage the affairs of the diocese, and also facilitates and supports the work of the congregations, diocesan committees and commissions.